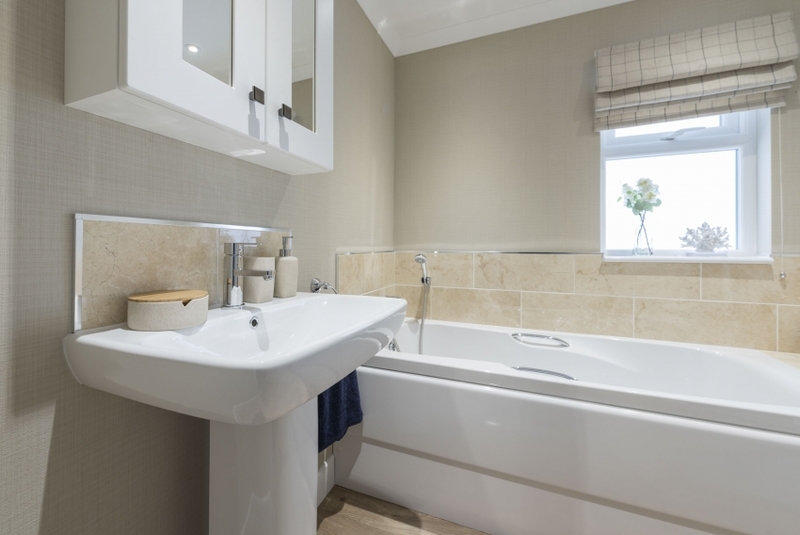 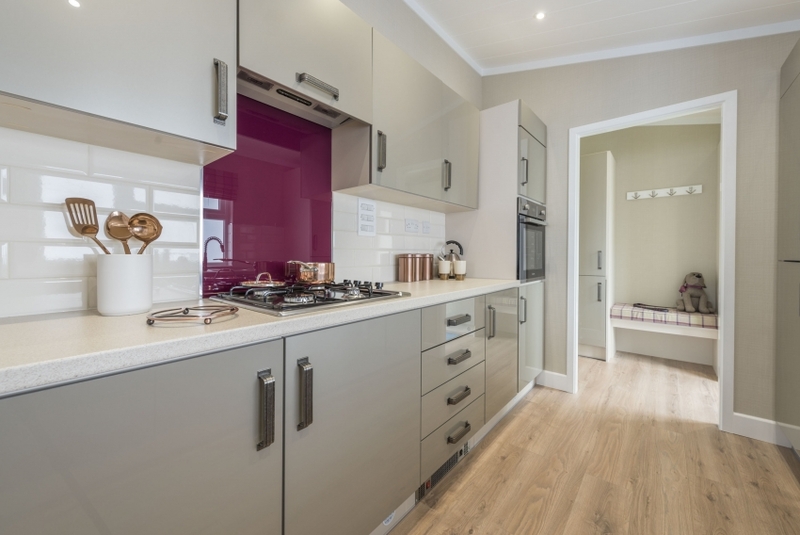 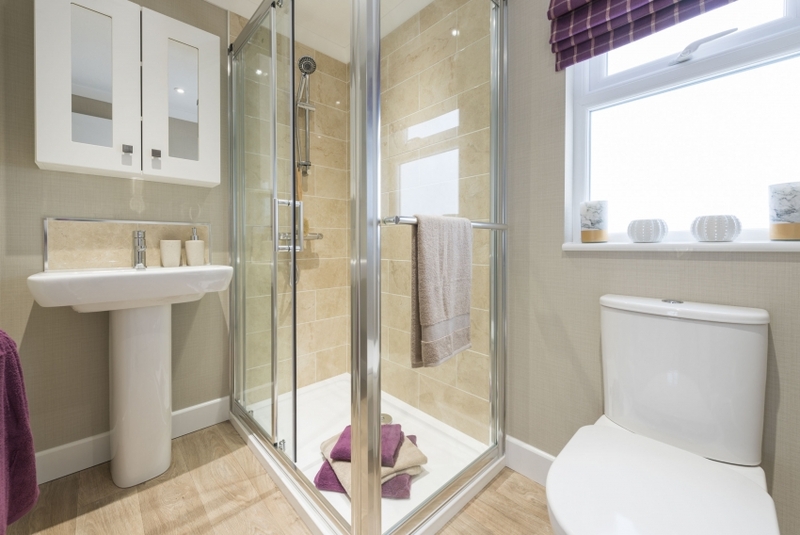 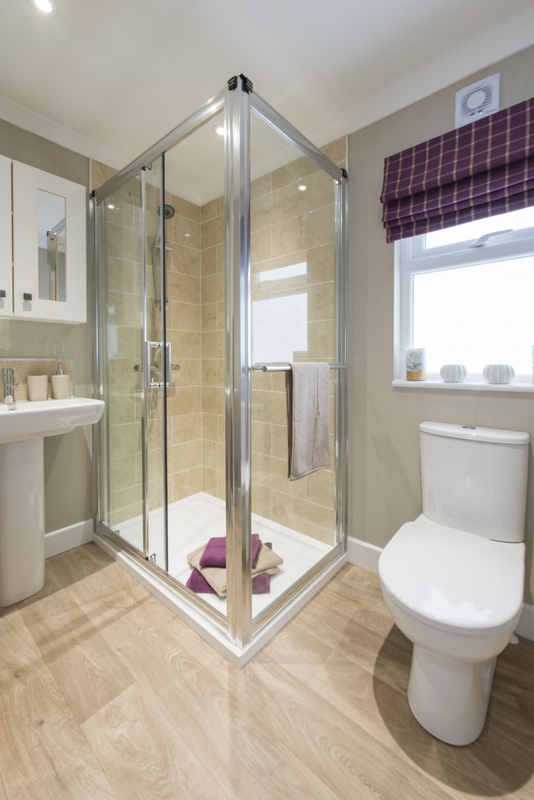 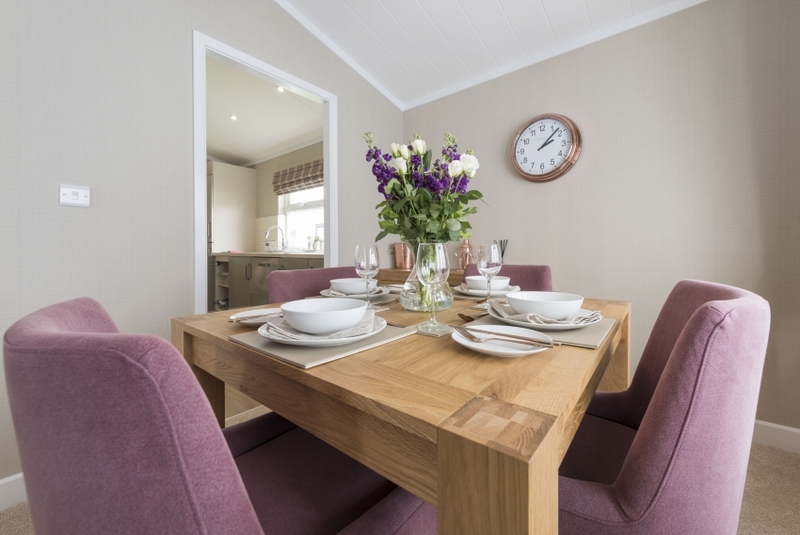 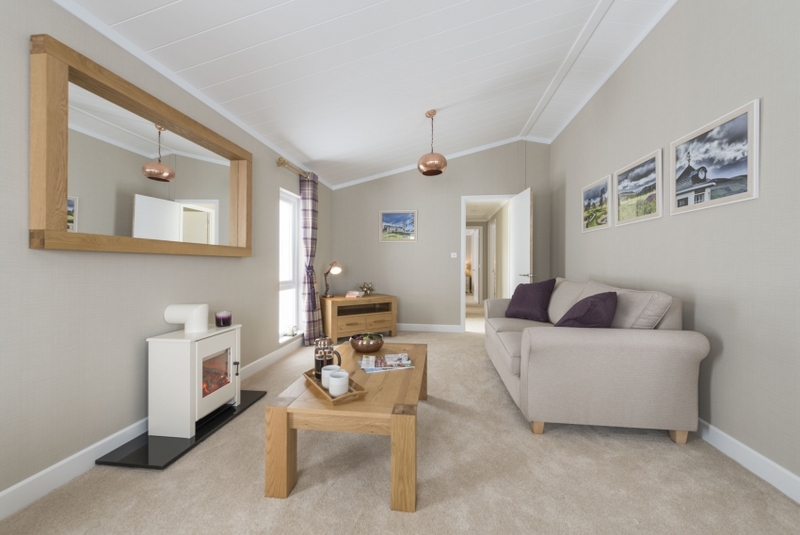 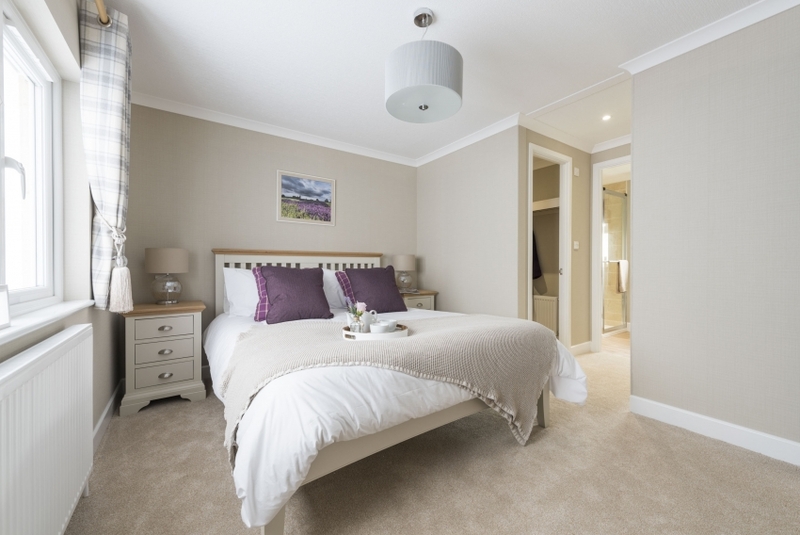 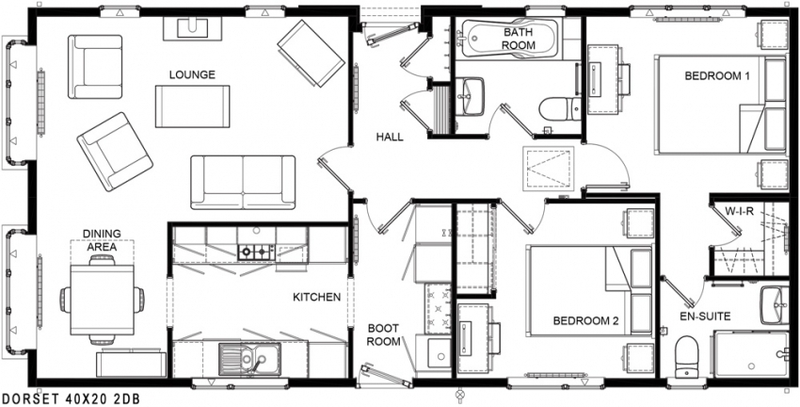 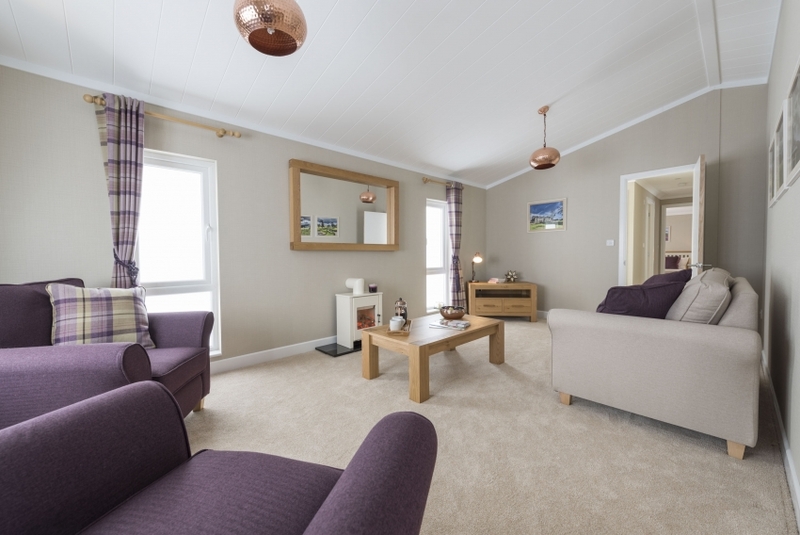 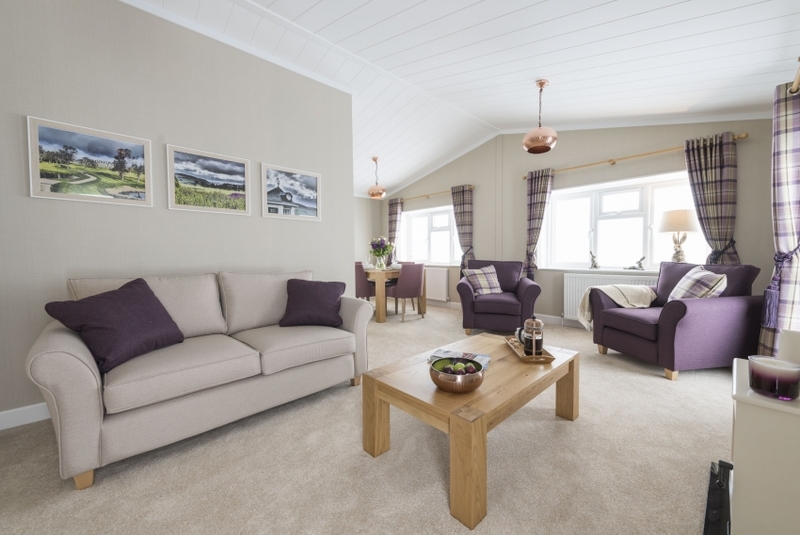 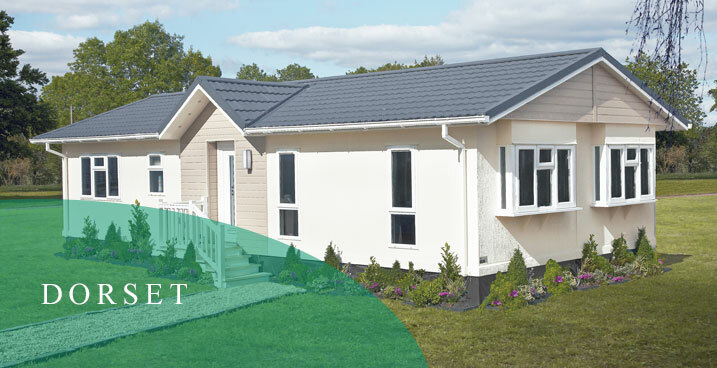 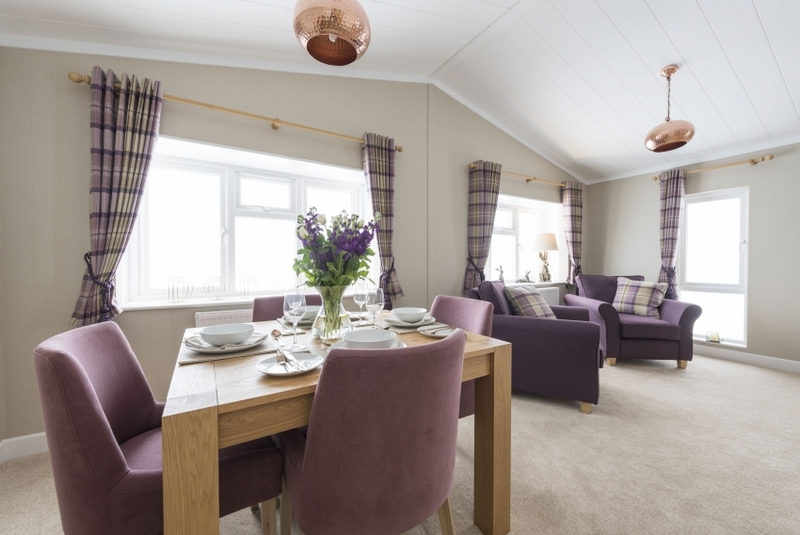 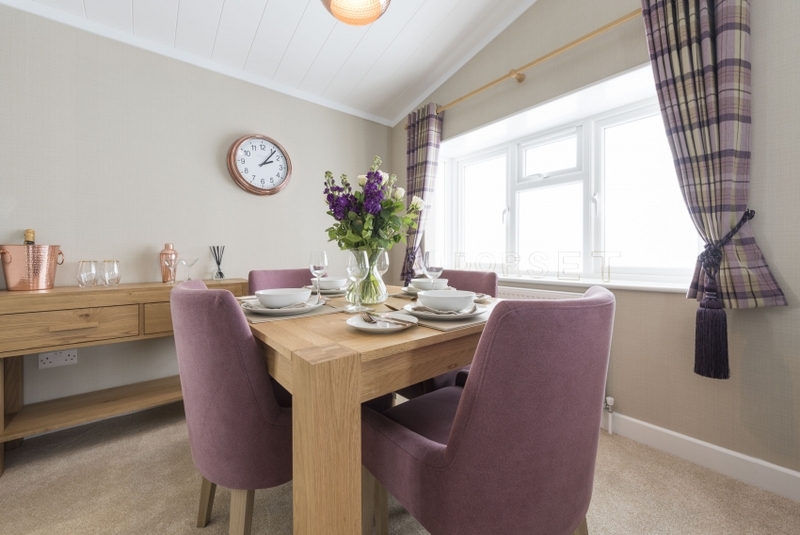 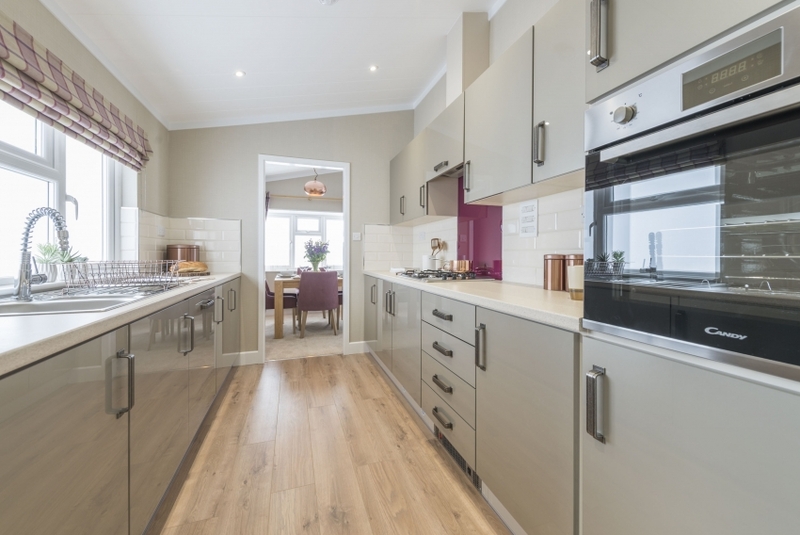 Highly practical and extremely stylish with simple, understated design both inside and out, the Dorset park home is everything you would expect from Wessex. 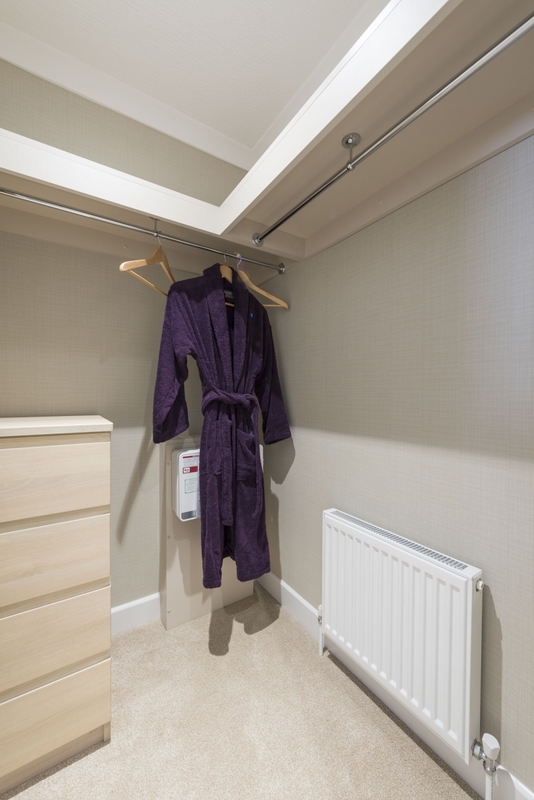 The hallway leads through to a generous master bedroom which spans the width of the home and encompasses a walk-in-wardrobe and en-suite. 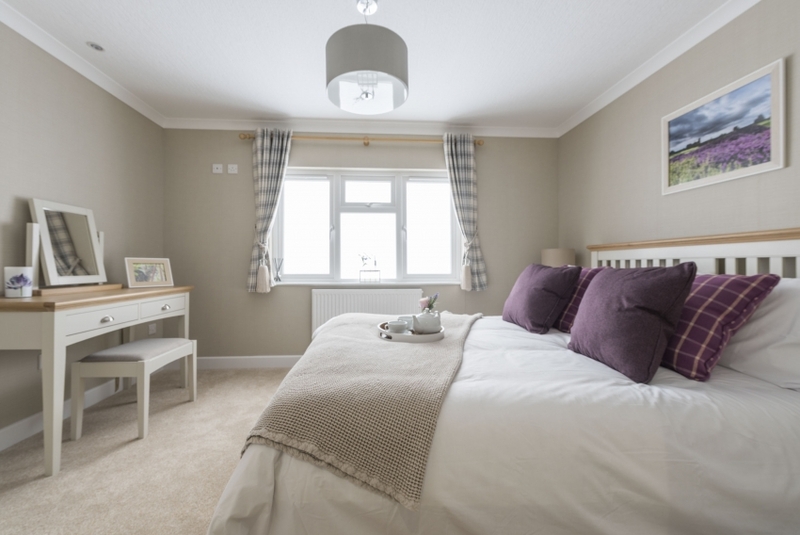 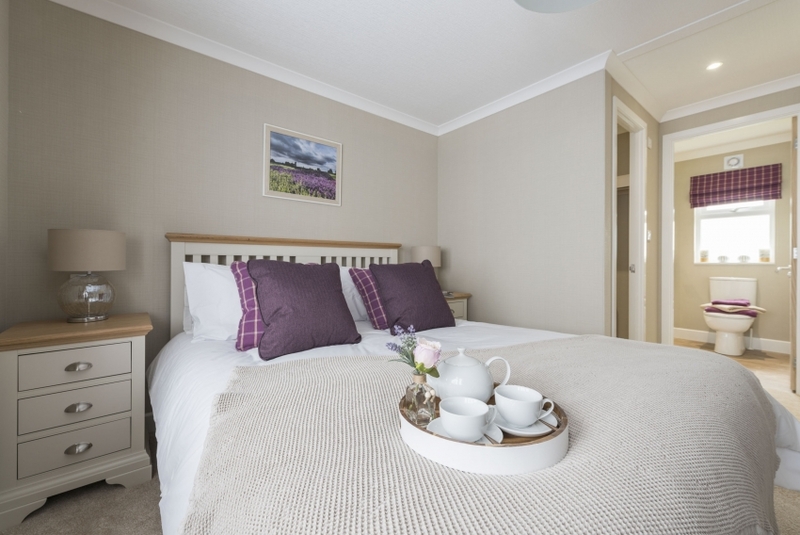 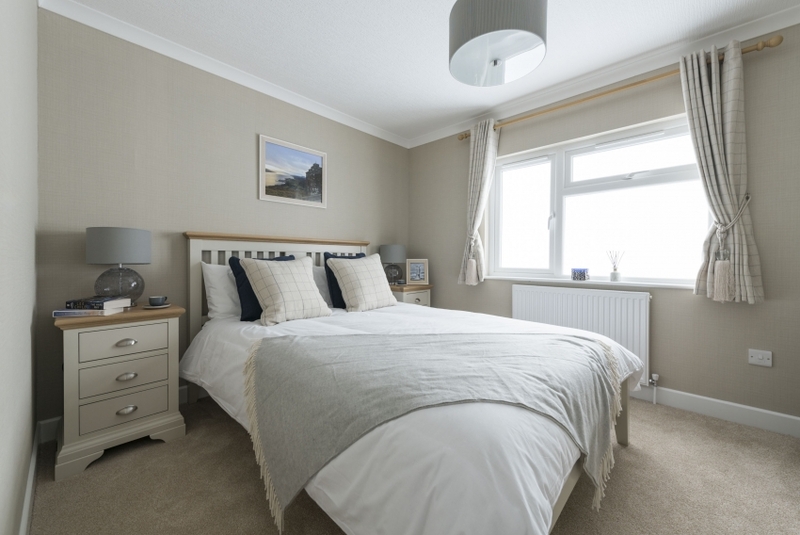 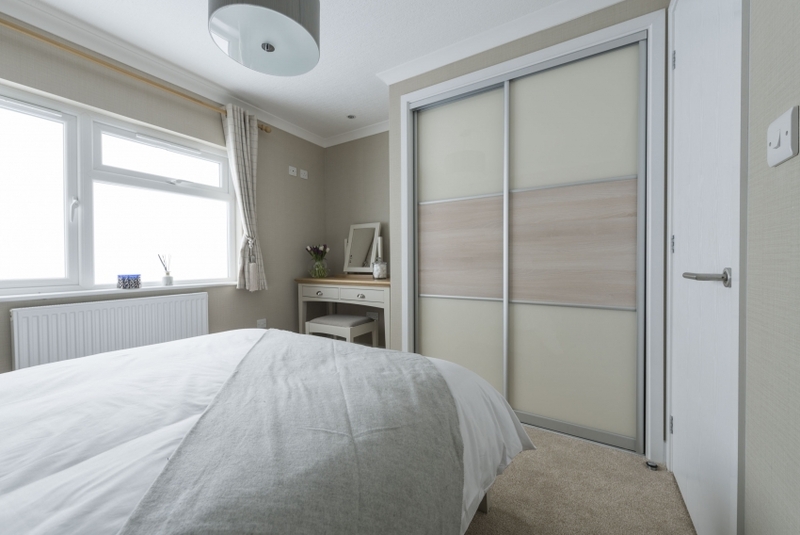 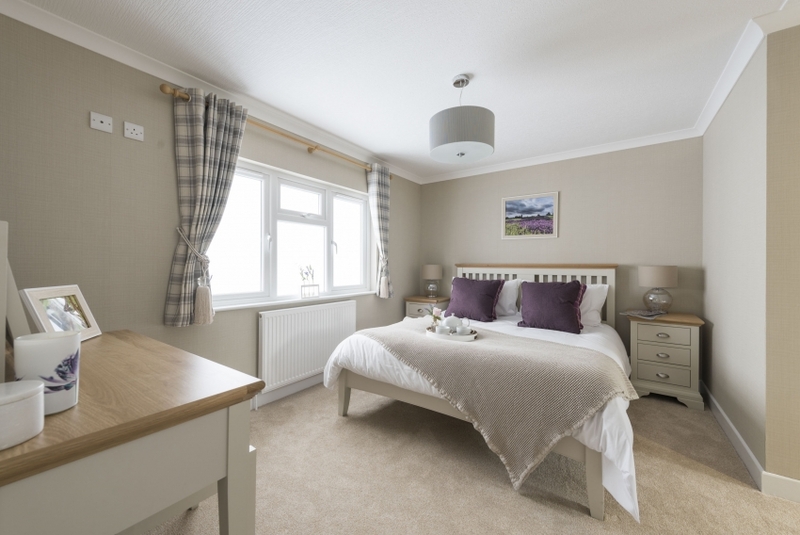 Both the master and second bedroom are simply yet elegantly furnished with soft grey and pale oak furniture, finished off with curtains and coordinating scatters in varying shades of pebble grey and indigo blue.